Whilst our Children’s and Youth Projects look to the future, our Family Projects recognize that there are real issues here and now and looks to work in these. We understand that if we only support children and youth, then the path to development is slow. If we are able to work in families and improve their situation, development happens more rapidly. Planting micro-finance schemes. These are essentially co-operative savings and lending schemes. 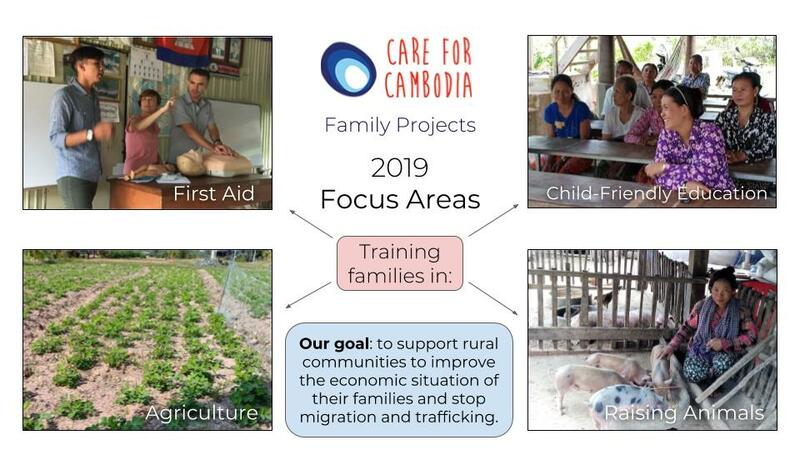 Care for Cambodia helps to set up the scheme, including rules, documentation and training of individuals. We then invest in the scheme for a period of one year to allow the scheme to start lending operations immediately. After one year we withdraw our funds and allow the scheme to continue without external investment. These schemes allow communities to help each other. Borrowing is only allowed for profit making initiatives. Small business generation. 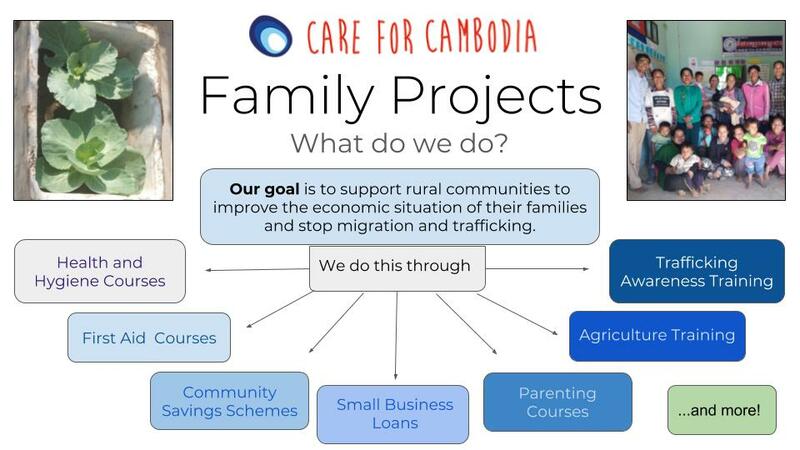 Care for Cambodia provides training for small business enterprises and assists in finding a market for products. In 2018 we trained members of our family projects in making washing-up liquid. We helped find raw materials and equipment and now we have 4 provincial projects regularly making washing-up liquid and selling it in their communities. This product has a >50% profit margin but it is still affordable for community members to purchase. Positive parenting skills, the rights of the child. We are always looking for ways to grow and strengthen our Family Projects. Here are our main focus areas for 2019. Of these 17 goals, our family projects are helping in 10. 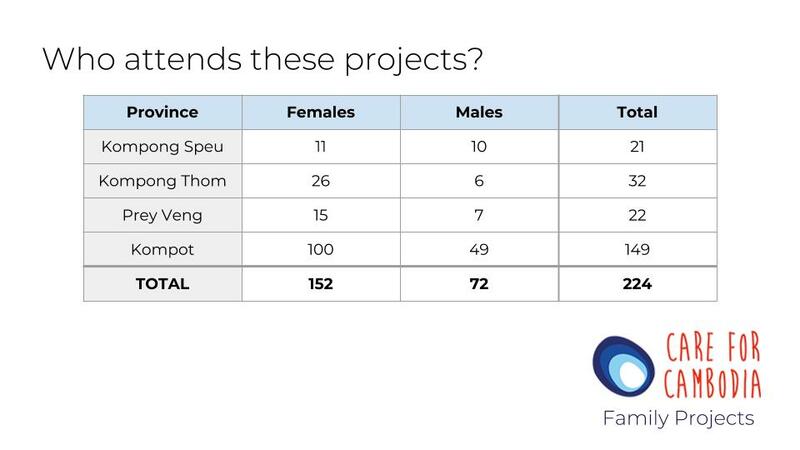 Those marked in bold text are those in which our family projects are making a difference.